One of our long-time volunteers, Cathmar Shaw Prange, was unable to come visit this winter and we’re missing her but she did send us a blog post! Cathmar has helped us curate her father’s collection for many years. The poet was my father. Mother was moving us into our new home in New Jersey. So he took us across the Hudson to the circus at New York’s Madison Square Garden to keep us out of her hair. The painting, like the poem, reflects the longing we feel when a joyous event has ended. I would like this poem even better these days had he written it in shorter lines, but I can accept his admiration for Shakespeare’s iambic pentameter. “Circus Roundels” appears on page 19 of John MacKay Shaw’s second book of poems, Zumpin’. It was published by The Friends of The Florida State University Library in 1969. “Read us zumpin’, Daddy!” we cried every night as he came in the door after work. And soon we were sitting on his lap listening, reciting and singing again. The Friends published his first book of poems for children in 1967 titled The Things I Want. One day in 2016, exploring the halls of Oaknoll, my new Iowa City home, I was stopped in my tracks by a child’s drawing of “raspberry ice” hanging beside a resident’s door. Raspberry ice is almost unheard of in my Midwestern world, and indeed this one came from New York State — a granddaughter’s loving remembrance of her grandmother’s fondness for raspberry ice cones. Once on the Jersey shore it was my cousin Connie’s favorite ice cream cone. I could hardly wait for summer when she would come to live with us again. We spent our days on the beach and in the ocean. We lived just one empty sandlot from Sam’s near the north end of the boardwalk in Ocean City, NJ. Sam’s daughter Dottie was one of our playmates and Sam’s shop was our source for ice cream cones. My brother Bruce liked Sam’s chocolate ones and I liked strawberry, but raspberry ice was always Connie’s favorite. My father John MacKay Shaw made a poem for her that immortalizes raspberry ice. 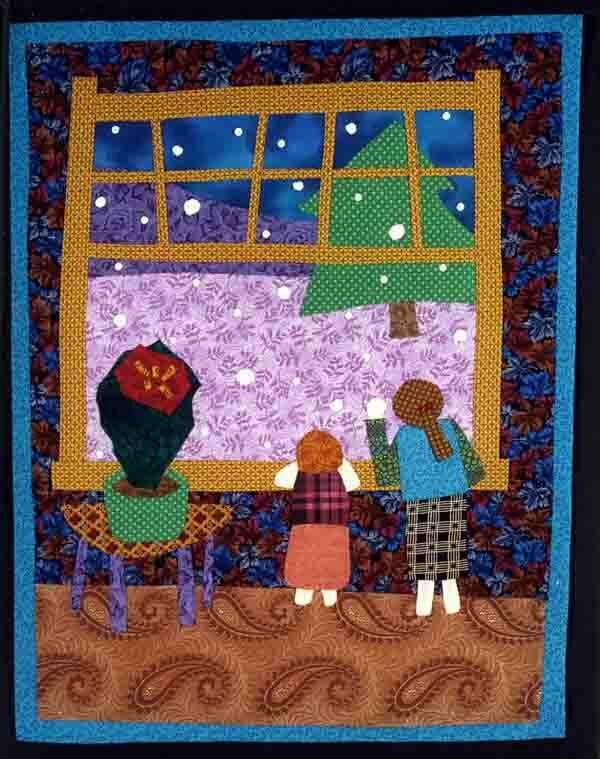 * And my daughter Meg further commemorates it in one of her fabric pictures. Late in John Shaw’s life, Susan Russo discovered his poetry. She chose “The Ice Cream Ocean” for the title of her anthology of poems for children. She illustrated it with round dips of ice cream floating on every page. 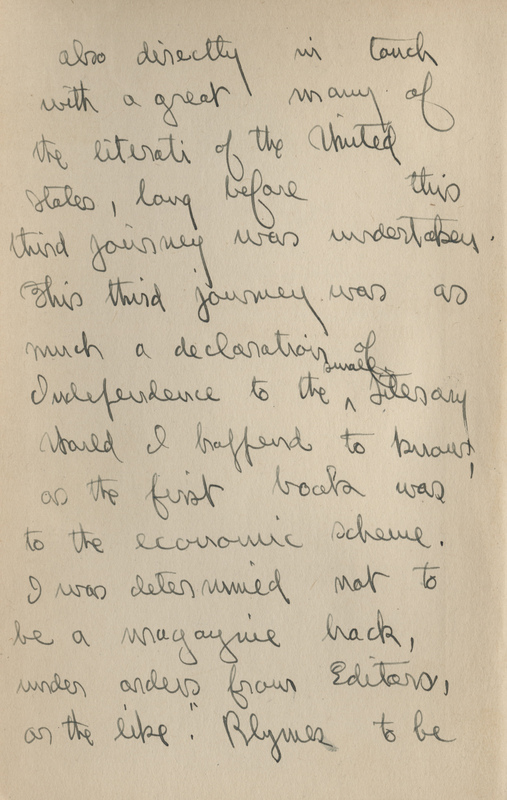 He was delighted to receive copies of her book in progress but he died in 1984 before he could purchase its final edition. What fun it would have been to discover this drawing at Oaknoll with my father! RUSSO, Susan: The Ice Cream Ocean; William Morrow. Hi Pop! Happy Birthday!! You’ll never guess what I’ve been up to since your 100th birthday. Imitating you, that’s what, or at least trying to. But there’s no way I will ever have your gift of gab, your great love of children, or your extraordinary management skills. You described your books; I’m describing your papers. That much I can do. I made descriptive lists of all those articles, photographs, correspondence, autographed materials and other things you collected that complement the books — over 120 boxes of items. Our archivist Burt and his students, you knew him, I think, they developed a finding aid based on my lists. As FSU’s catalog leads the scholar to the books, the finding aid leads him to these complementary materials. Your collection has grown from the original 5000+ books you gave to Florida State University when you and the books moved to Tallahassee in 1960. You added many more while you were here, and the library has continued to add books ever since you left us in 1984. You produced eleven volumes of a bibliography of your collection and a keyword index to the poems. We now have an estimated 22,000 books. Some old, the others up-to-date. Will pledge a present much more fine. After Christmas 1928, my brother Bruce joined us. Every evening, even before you arrived home after work, he and I were clamoring for your attention. You would pull us up onto your lap and our nightly poetry reading, reciting and singing, would begin. Robert Louis Stevenson’s Child’s Garden of Verses for a start, but those poems were about other children. We wanted poems about us. You promised to write them, but only if we told you what to write about. We could do that! 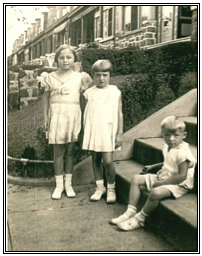 Connie, me and Bruce at Gramma’s house on Sanson Street in Philadelphia, 1933. You gave each of us, and our cousin Connie too, a black leather binder to hold the copies you typed of the poems you wrote for the three of us between 1930 and 1937. In 1933, you began gathering the poems of each year to be printed in booklets that you sent to your friends as Christmas greetings. I recall how surprised and pleased you were years later when one of the The Friends of Florida State University Libraries told you the poems should be published. When you said you didn’t want anything to do with that process, she took it upon herself to select some of your poems and saw to it that they were published in 1967 as The Things I Want: Poems for Two Children. It was so popular that it went into a second printing, and then Zumpin’ followed with more poems a few years later. We still fill requests for those books every now and then. By 1938 Bruce and I had lost interest in poetry. How very disappointed you must have been, but you never let on, and we had become too busy with our friends to notice. I did notice though that you were spending lots of time sitting in our big wing chair in the evenings, reading small pamphlets. Little did I know then that they were book dealers’ catalogs, or that the pencil you always held loosely cross-wise between your lips was being used to make checkmarks on the pages. The number of books in our den began to increase, then the number of shelves increased. More books kept appearing to fill the bookcases in our living room. Then I went away to college. John MacKay Shaw in his study. Within the next ten years, you and Mom moved into New York City. Then retirement from AT&T loomed for you. You had been frustrated in your search of libraries and universities around the country where you and your books would be happy. You and Mom were visiting us one summer when my friend Jackie stopped by — remember? She suggested her alma mater FSU might be a good repository for your books. Then she followed up that suggestion by writing a letter to the head of the library recommending you and your collection. That did it. And here you are. And I am here too. Every winter I am having the best of times living with Jackie in our Florida home and working in your collection with the special people here who administer it. That pledge you made in 1928? You kept it your whole life and FSU Libraries continues to fulfill it. Thank you, Pop, with love and best wishes on your 118th birthday, from Cathmar. Cathmar Prange is the daughter of John MacKay Shaw, the donor and curator for the childhood in poetry collection that bears his name in Special Collections & Archives. Every winter, Cathmar volunteers to continue organizing and curating her father’s collection and has been doing so for 18 years. First Page from letter to Mrs. Stephen Graham from Vachel Lindsay. The John MacKay Shaw Collection at Florida State University has the manuscript for a book by Stephen Graham. It is two or three inches thick. Recently a colleague asked me the source of this manuscript, but we remain confused about its subject and whence it came. About the author, we knew little. Looking for something else a few days later, I opened the Third Supplement of Dr. Shaw’s bibliography Childhood in Poetry near the middle. Surprise! The page revealed the illustration of a letter penned by poet Vachel Lindsay to Mrs. Stephen Graham. 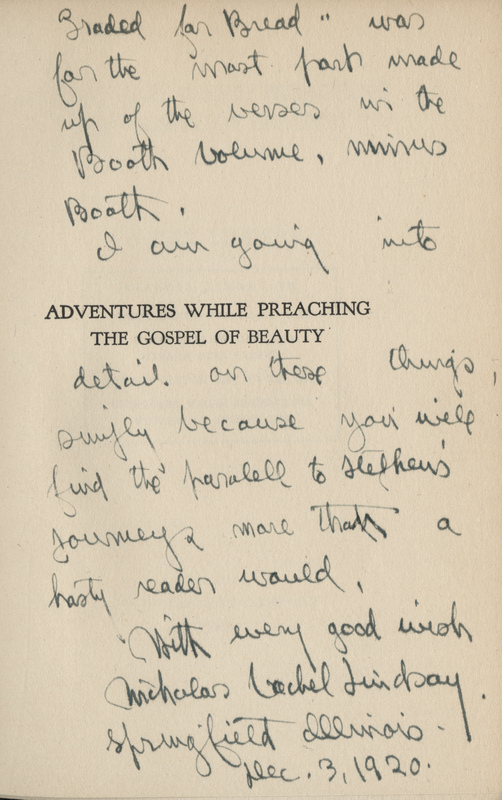 The book that the illustration was copied from, Lindsay’s Adventures While Preaching the Gospel of Beauty, is described on the facing page of the Shaw bibliography. FSU’s library catalog revealed its call number and Special Collections staff retrieved the book from the closed stacks. The letter begins on the flyleaf and continues onto the half title page of the book. It is dated February 13, 1920 and reflects Lindsay’s memories of tramping with Graham and sharing their search for the meaning of life beside their campfires. There is no mention of anything related to the manuscript. 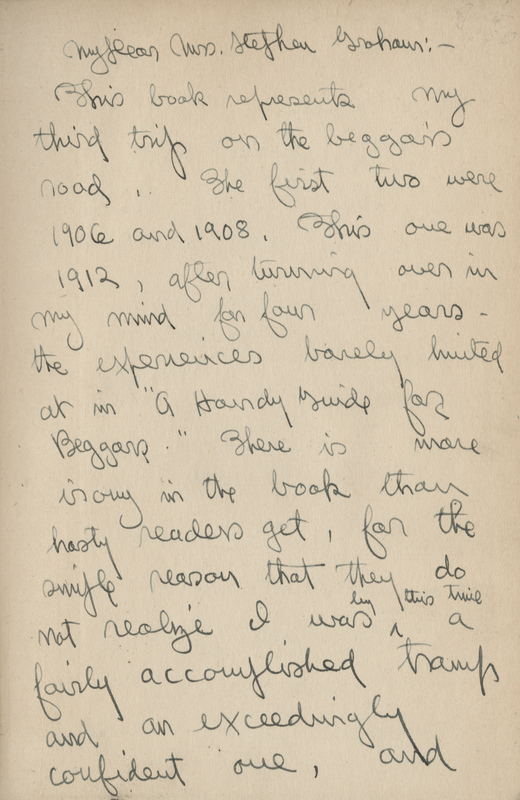 Second Page from letter to Mrs. Stephen Graham from Vachel Lindsay. I was familiar with Graham’s name. In 1998, one of FSU’s English professors came into Special Collections and handed me some materials related to Stephen Graham. If the manuscript was part of this offering, it had been handed to somebody else and I never saw it until several years later. Most of these materials I received related to Graham’s leadership of a group who met in the out of doors and shared their poetry not only by reading it, but by performing it as well. These pages too shed no light on the mysterious manuscript. Further searches of Stephen Graham in FSU’s catalog and in the John MacKay Shaw Collection Finding Aid yielded information but still did not answer my questions. I turned to the Internet. On Wikipedia, an article by Michael Hughes carries a lode of information; Graham’s whole life with titles of many books he had written about his travels all over the world. Hughes wrote this article for the love of it because he felt that Graham has not been given the attention he deserves. He mentions the long “tramps” that Graham and Lindsay shared and their mutual interest in the spiritual aspect of life. After ten years enjoying each other’s company, changes separated them, but they continued their friendship by mail until Lindsay’s death in 1930. Hughes says nothing on Wikipedia about Graham’s interest in poetry however. Last Page from letter to Mrs. Stephen Graham from Vachel Lindsay. Dr. Hughes remarks that late in his life Stephen Graham visited a friend in Tallahassee. Was this friend the professor who gave me the Graham materials? Hughes has written a biography of Graham, Beyond Holy Russia: The Life and Times of Stephen Graham. I have scanned this book on line fairly thoroughly several times and have yet to find any mention of our manuscript or an expose of The Poetry Society. I remain in contact with Dr. Hughes in hopes of some avenue opening up to the manuscript. The latest from Dr. Hughes is that the Harry Ransom Institute in Texas has a copy of it. Stay tuned! Perhaps the manuscript was written too late in Graham’s life for him to pursue publication, so he had given it to our professor in hopes that he could arrange it. I have written to Dr. Hughes; perhaps between us we can solve the mystery of the Graham manuscript. Sudden discovery occurs often in my work in Special Collections – far often enough to keep the interest level up and set me off on new adventures each year. The library life is an exciting one – new mystery leaping out while research lays another mystery back to rest. On January 29, 1888, Edward Lear quietly passed away with only a servant by his side. A lifelong nomad, Lear was often alone as he hunted for new painting grounds. He was first and foremost a landscape artist and spend a good deal of his life wandering the Italian countryside in search of a new view to paint. His Book of Nonsense, a result of trying to entertain the children of one of his patrons, would be his greatest achievement however. First published in 1846, it led to dozens of editions and re-imagings by other authors and artists over the years as well as Lear himself who revisited the “nonsenses” as he called them in the 1860s and 1870s. 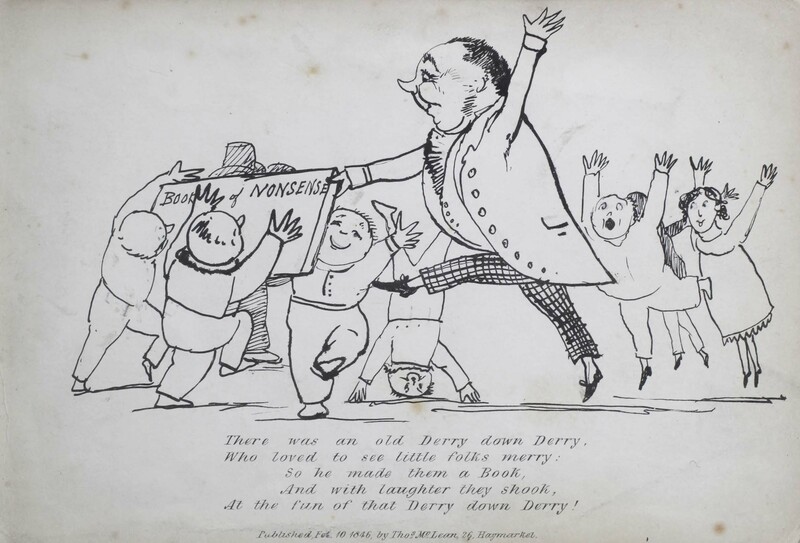 It also was one of the first publication instances of the limerick. The Learian Limerick was named in Lear’s honor to specify the style Lear used in composing the short poems to accompany his character sketches. In 1884, Lear contracted bronchitis and never fully recovered from it for the rest of his life. His health continued to deteriorate until his death in 1888 in San Remo, Italy, the closest place to a home the wandering poet and painter ever knew. 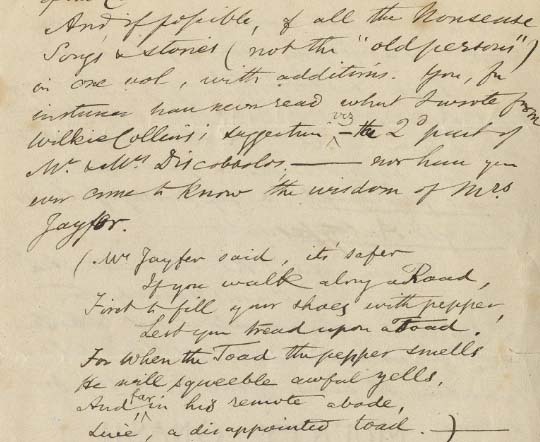 We have many of Lear’s Nonsense books in our digital library as well as a set of letters from Lear to one of his many patrons, all part of our John MacKay Shaw Childhood in Poetry collection. A new digital collection is now available in the FSU Digital Library! Edward Lear was a British poet and painter. Although he wrote many poetry volumes and travel journals, he is best known for his Book of Nonsense, first published in 1846, which consists of drawings and short poems he wrote for the grandchildren of Lord Derby. While he is not credited as the inventor of the limerick, the poems of the Book of Nonsense would be defined as such today. This online collection includes the multiple editions of the Book of Nonsense published from 1846 to 1880. It also includes the many derivative editions and works which call the Book of Nonsense their inspiration. Also, this spring, see an exhibit about John MacKay Shaw in our Exhibit Room put together in collaboration with the Spring 2014 Museum Objects class. For more information, see our post about the exhibit! 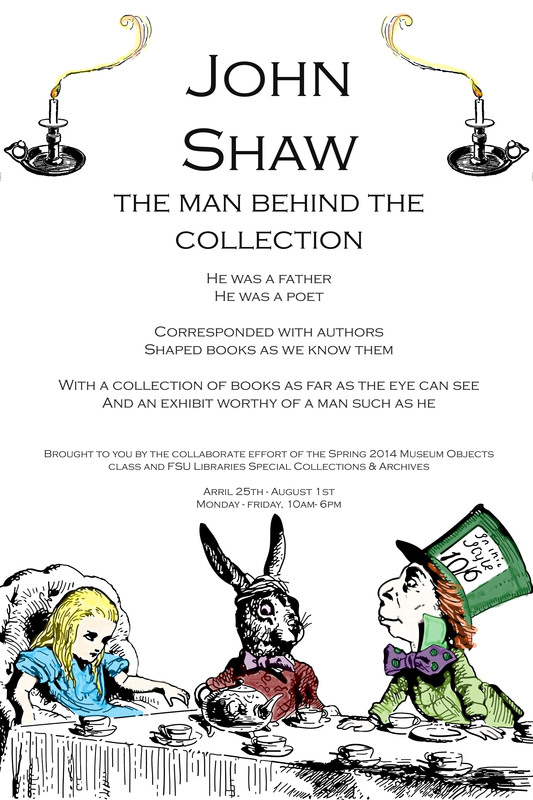 Dr. Teri Abstein’s Spring 2014 Museum Object class, in collaboration with FSU’s Special Collections & Archives, is pleased to present its exhibit, John MacKay Shaw: The Man Behind the Collection. Shaw was born in Scotland and immigrated to the United States as a teen. 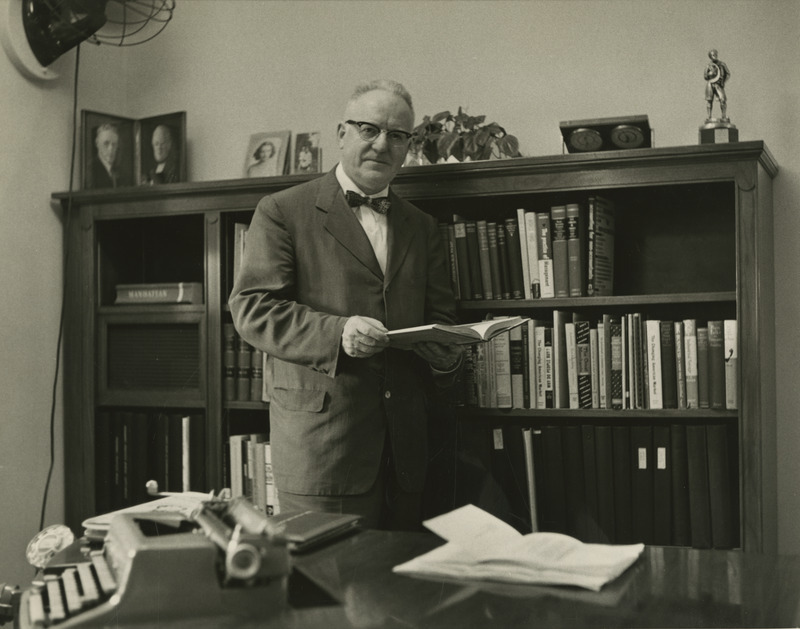 After marriage and having his own children, Shaw began his collection of childhood poetry and literature in the 1930s. His collection grew to include all the masters of English literature who have written about childhood – and almost every English poet has. The Shaw Collection was donated to FSU with 6,000 volumes; the collection currently comprises of over 35,000 volumes and 69 linear feet of archival material. In the exhibit, you will be able to view Shaw’s own poetry written for his children, letters between Shaw and Dr. Seuss, first editions of books which turned into popular children’s movies, part of the largest Scottish collection in America and finally, the legacy Shaw has left to his children, to Florida State University and many others. A digital exhibit to complement the physical exhibit can be found here. John MacKay Shaw: The Man Behind the Collection is open from 10am-6pm in the Strozier Exhibit Room and will be available to view until Fall 2014.